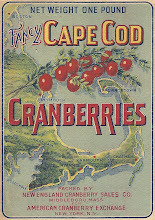 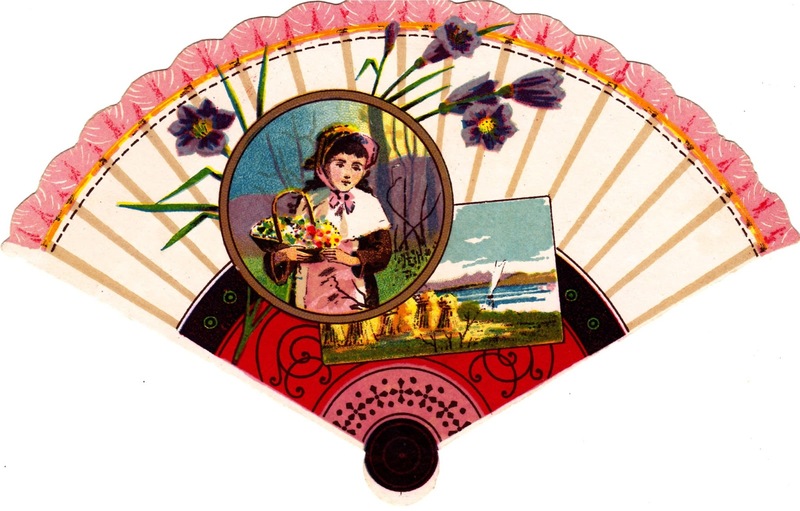 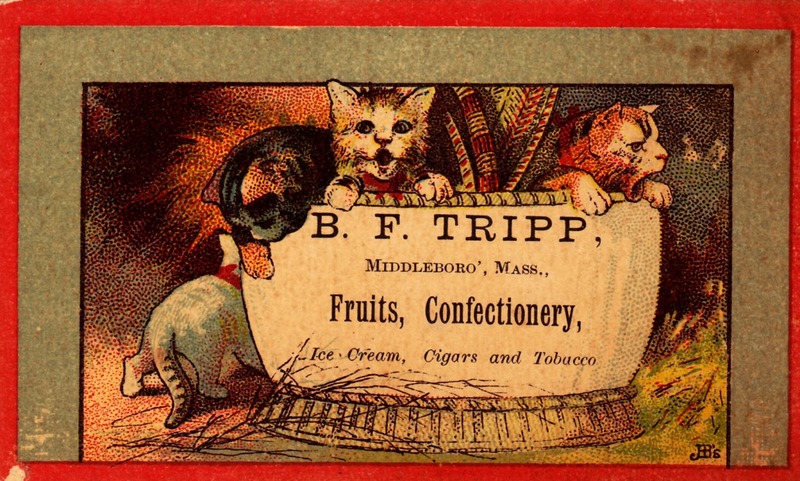 Trade cards were a popular means of advertising during the late 1800s. 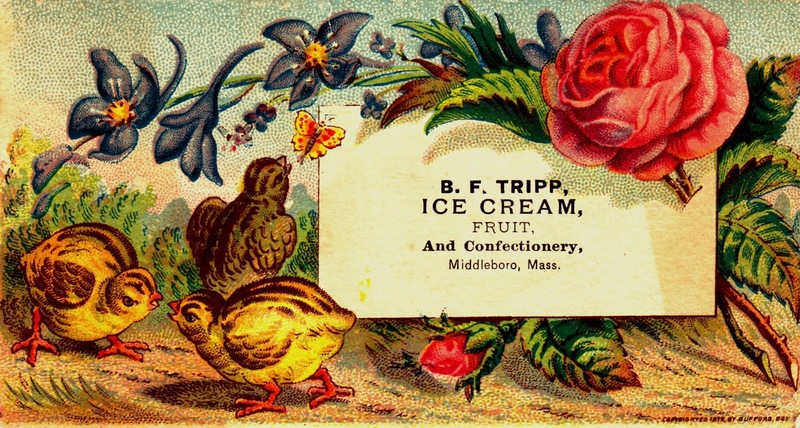 Small and highly-colored, these illustrated cards became widespread with the introduction of color lithography in the 1870s and their free distribution helped retailers and manufacturers advertise their goods. The cards were frequently changed by merchants, helping entice shoppers back for a return visit. 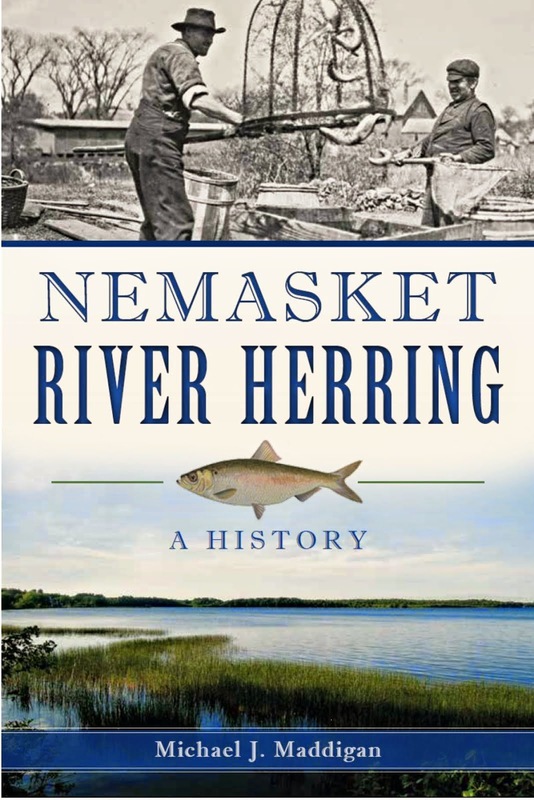 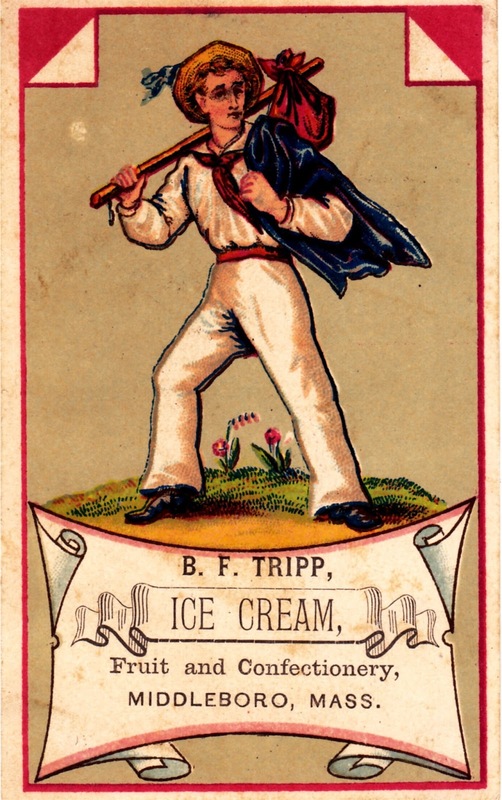 Children often collected the cards, pasting them into bound volumes, and they remain highly collectible today. 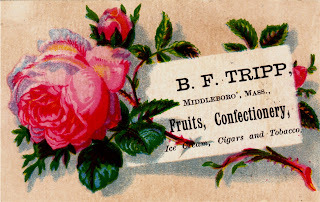 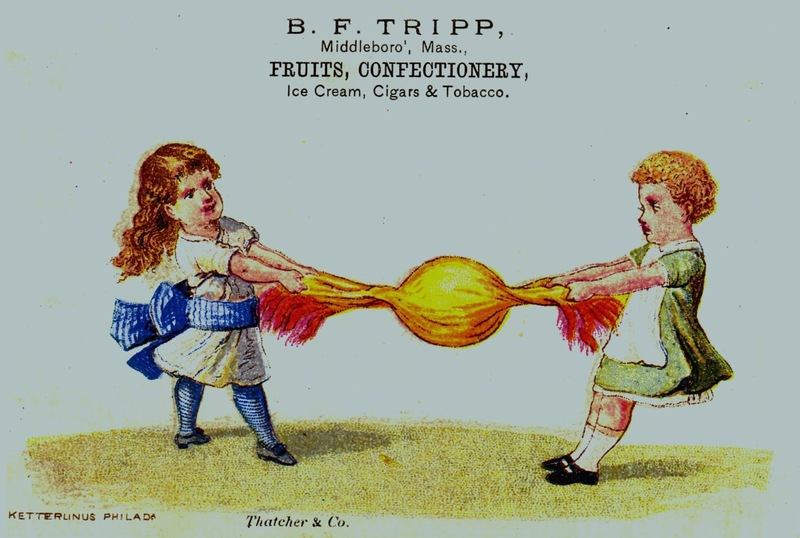 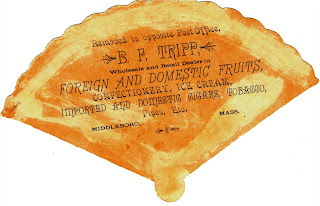 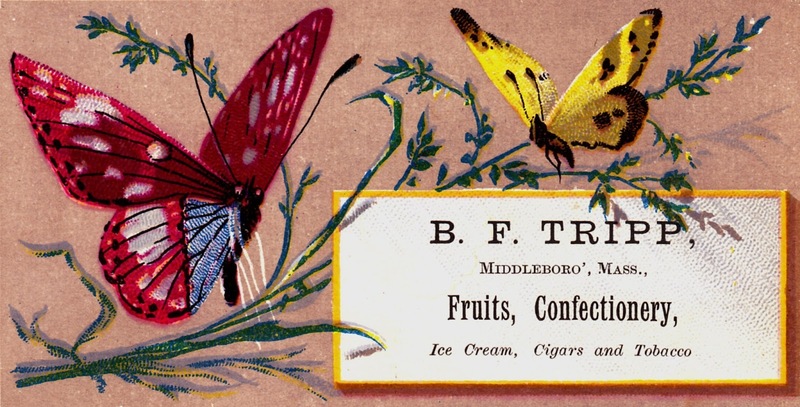 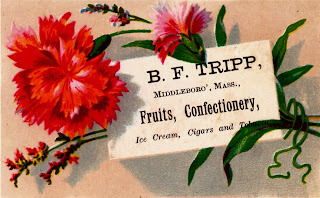 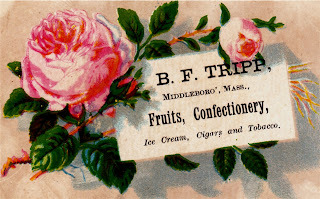 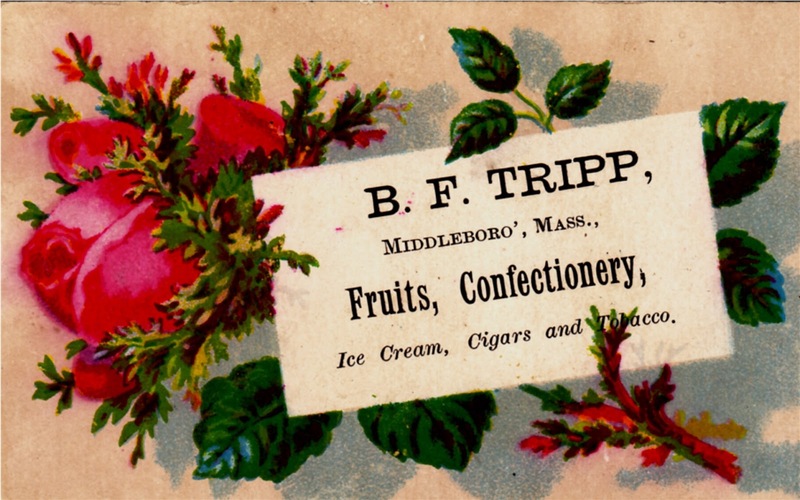 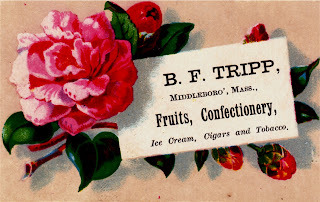 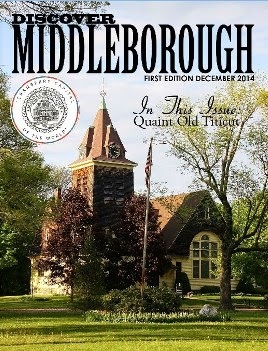 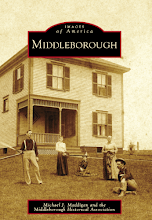 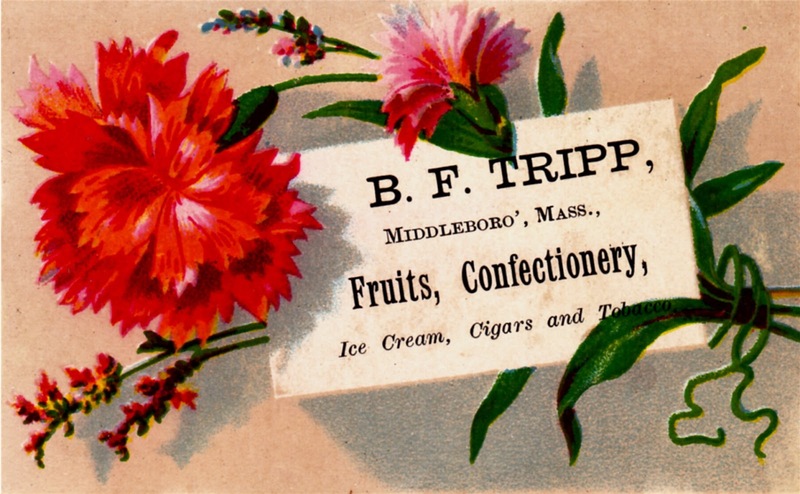 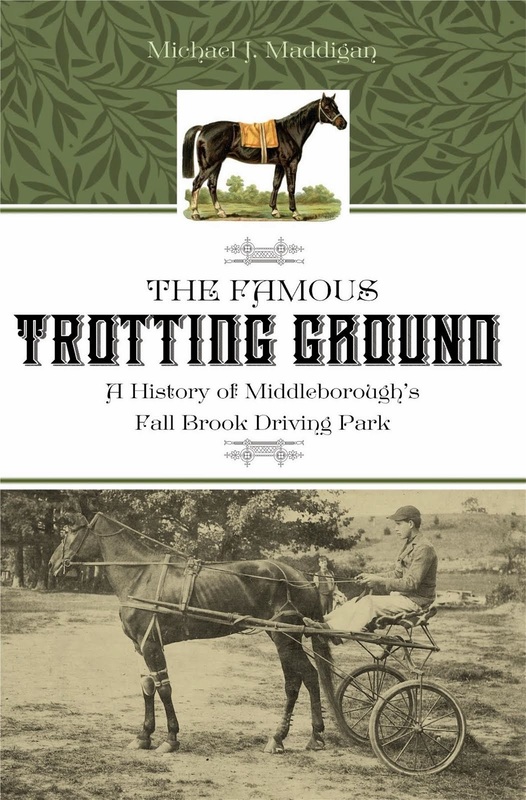 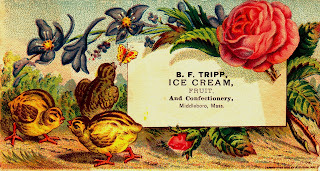 One Middleborough merchant who made wide use of trade cards for advertising was Benjamin F. Tripp, who conducted a combined ice cream, confectionary, fruit and cigar store on the site now occupied by Kramer Park next to the former Savings Bank Building on Center Street. 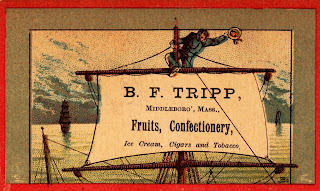 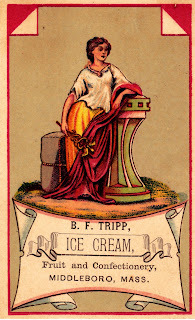 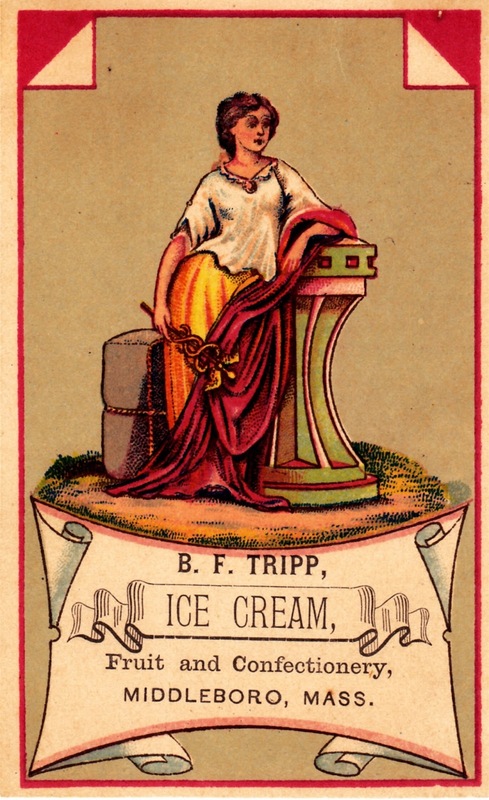 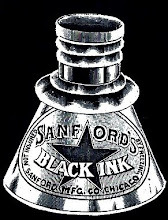 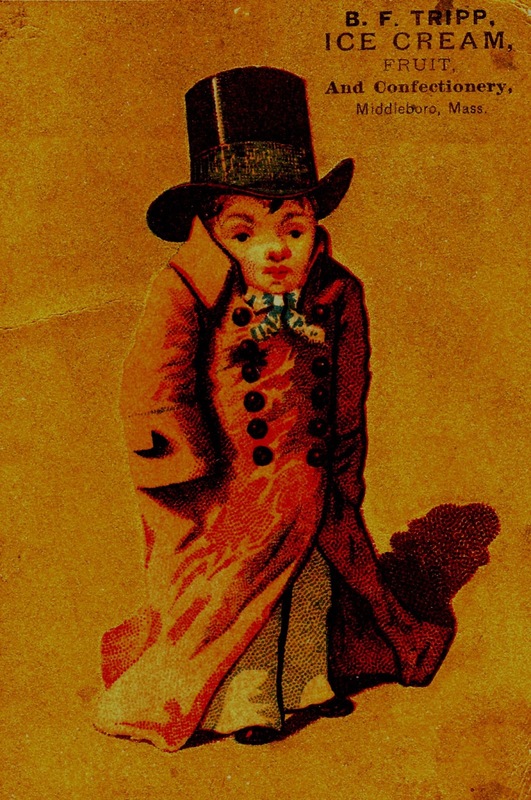 Tripp utilized many different styles of cards which would have been purchased in bulk and printed by a local printer (most often Thatcher & Company) with Tripp's specific information. 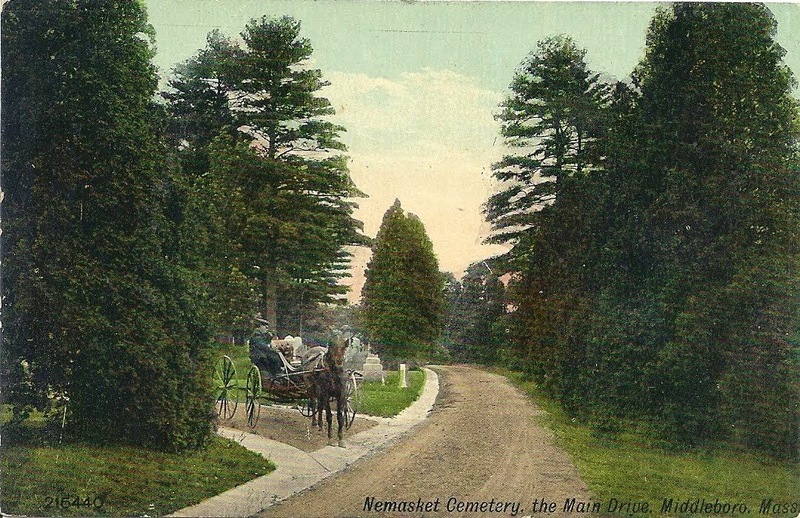 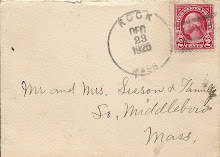 The samples below from the collection of Recollecting Nemasket provide a glimpse of the variety of trade cards offered by Tripp's.